Reactions against the use of the term neoliberalism have usually taken one of two forms: first, that “neoliberalism” is nothing more than a fevered delusion or a mirage perhaps shared with a few other addled persons, and thus best ignored; and second, that if such a thing does indeed exist, it is far too uneven and inconsistent to count as a serious analytical category. To be fair, mobilization of the term “neoliberalism” has grown uncomfortably sloppy among a subset of those on the left. Broadsides have equated it to laissez-faire economics, market fundamentalism, libertarianism, globalization, biopolitics, financialization, and many other things. Even some of the most celebrated recent intellectual histories on the topic, like Angus Burgin’s Great Persuasion or Daniel Stedman Jones’s Masters of the Universe, have tended either to abjure the label altogether, or to make a botch of distinguishing neoliberals from libertarians and plain vanilla conservatives. Although there has been an abundance of books and papers with the word “neoliberalism” in the title, perhaps the quality of thought about the subject has not exactly been flourishing. The elusiveness of neoliberalism, however, ultimately stems from denials that neoliberals themselves have made about their efforts. While we can fairly well identify the roster of who should be acknowledged as a part of the movement, at least from its beginnings in the 1930s until the recent past, we are confronted with the fact that, in public, they themselves roundly deny the existence of any such well-defined thought collective, and stridently resist the label of neoliberalism. Not only do they wash their hands of most of the documented activities of what I call the Neoliberal Thought Collective (as when Hayek and Friedman abjured the Pinochet interlude in Chile) but they complain that their opponents, the socialists, have always gotten the better of them. And thus, they claim, their political project has never enjoyed any real successes, ever, anywhere, contrary to all evidence brought to the table. They are forever the bridesmaid of conservative parties but never the bride. Given the sheer numbers of people involved, the astronomical sums of money, and their cultural dominance of the airwaves, this sad-sack victimhood is really quite remarkable, and itself calls for serious examination. Perhaps it has something to do with the fact that a political movement that dare not speak its own name has intellectual contradictions that it dare not air openly. The tendency to deny the existence of neoliberalism raises four questions that I will address here: Why do people think the “neoliberal” label is so very awful? Is it possible to pin down what neoliberalism signifies, and how you can tell a neoliberal when you encounter one? Do neoliberals often tell the truth about their doctrine? And, finally, can a working understanding of neoliberalism illuminate contemporary epistemic issues, such as the project to displace old-school science with “open science”? It is a remarkable and dumbfounding fact that everyone suddenly reverts to strict nominalism when encountering neoliberalism. They circle round the word as if it were a dead animal in the middle of the road, crushed and distended, trying to figure out what to call it even though, strictly speaking, they reserve judgment over whether it is even really there. Neoliberalism, they complain, is a rascal concept, a spitting pejorative, a bloated concept of dubious utility, polysemous yet empty at the core, a sloppy synonym for capitalism, a hymn to “free markets” (as though those words were any less slippery). Words that stand in for political doctrines have been notoriously polysemous and unreliable as freestanding categories. Anyone who has ever traveled outside the Anglosphere rapidly learns the disconcerting fact that the term “liberal,” which designates the soft Left in North America, designates its opposite in France or Latin America. By this standard, not only neoliberalism but “liberalism” also doesn’t really exist. Yet it is a mistake to believe that the only legitimate labels are those which are freely embraced by the very people who espouse the doctrines in question. How many people recall that the “Austrian School” moniker originated as a disparaging epithet coined by their opponents, the German Historical School? Or that the institutionalist Thorstein Veblen was the first person to coin the term “neoclassical” to refer to the sort of economics promulgated by Alfred Marshall and his students? Both of these names stuck over time, usually for good reasons. Political doctrines and economic theories can rarely be confined to neat, discrete boxes. But that does not belie the fact that powerful ideas that spark long-lived movements do eventually roll in well-worn grooves. One can use such labels as shorthand to indicate family resemblances in the manner of Wittgenstein, as long as one is suitably careful to acknowledge dependence on context, and to take note of how speakers themselves tend to negotiate the indeterminacies of their own doctrines. Here, packed into two short sentences, we encounter two of the most frequent errors committed by outsiders who wade into neoliberal waters. First, and one which cannot be stressed enough: however much they sound alike, neoliberalism and neoclassical economics are two different schools of thought. The latter dates from the 1870s, and encompasses mathematical models of the constrained optimization of utility, which still exists today as the core of economic orthodoxy. Neoliberalism by contrast dates from the 1940s, if not a bit earlier, and is a general philosophy of market society, and not some narrow set of doctrines restricted to economics. Furthermore, neoliberals are skeptical of “scientism,” such as heavy dependence on mathematics, and have a conflicted relationship to neoclassical economics. Neoliberals should not be disparaged as “market fundamentalists,” for they believe that human beings must be transformed in order to establish their ideal society. If anything, it is rather the neoclassical economists who more properly warrant the moniker “market fundamentalist,” since they are incapable of theorizing anything outside their rather impoverished notion of “the market.” The neoliberals are Socratic polymaths by comparison. I think it is fairly easy to identify the source of this confusion. Most people likely get their impressions of neoliberal doctrine from some exposure to the American poster boy for the Mont Pèlerin Society, Milton Friedman. His 1980 pop book Free to Choose is still in print, and the PBS documentary series of the same name is now wildly popular on YouTube.4 Friedman was the most famous representative of the “Chicago School of Economics” in the period from roughly 1950 to 1990, and went out of his way to spread the good news of neoliberalism in the media and in political arenas. This created a number of distortions in public perception of the doctrine, which persist down to the present. The first distortion is the impression that neoliberal theory is identical to neoclassical economics. A judicious dose of real intellectual history can help clear up this confusion. The Chicago School was established in the immediate postwar era as a complement to the Mont Pèlerin Society, and was dedicated to the reconciliation of the nascent neoliberal ideas with a rather simplistic form of neoclassical economics.5 This reconciliation was never entirely successful, and was resisted at other major centers of postwar neoclassical theory, such as MIT and the Cowles Commission. Indeed, there is a murky catchphrase that obliquely refers to this unresolved tension, one that claims there is a “freshwater” versus a “saltwater” branch of neoclassical orthodoxy. This supposed reference to geography misses the historical dynamic, which was closer to diluted price theory, starting as backwater economics before eventually becoming economic Dasani. Interestingly, the Chicago drive to reconciliation was also resisted within the neoliberal thought collective as well, with Hayek, the Austrian School, and the Ordoliberals all rejecting the legitimacy of neoclassical economic theory as an appropriate framework within which to understand how the market worked. So the situation resembles a Venn diagram, in which there is some overlap between neoliberalism and neoclassical economics, but significant portions of the two remain fundamentally distinct, at least from the 1950s to 1990s. Yet because Milton Friedman had become the mouthpiece for the neoliberal program in this era in the public sphere, laypersons understandably tended to infer that orthodox neoclassical economics and something like neoliberal politics were really the same thing. The second distortion resulted from the fact that Friedman was a master simplifier, even if it meant misrepresenting what fellow neoliberals had actually written, and the policies they had actually promoted. Nowhere was this more evident than when he boiled down neoliberal politics to the desiccated slogan “market good, government bad.” He praised “deregulation” and “privatization.” But in practice the truth was hidden in the details, and that always involved government power. In other words, he falsely conflated neoliberalism with libertarianism, even though he was always careful to register some minor qualifications when pressed to clarify his position. Friedman’s own trademark proposals, like putting the money supply on autopilot, or replacing public schools with vouchers, required an extremely strong state to enforce them. While neoliberal think tanks rile up the base with debt clocks and boogeyman statistics of ratios of government expenditure to GDP, neoliberal politicians organize a host of new state activities to fortify their markets. They extravagantly increase incarceration and policing of those whom they deem unfit for the marketplace. They expand both state and corporate power to exercise surveillance and manipulation of subject populations while dismantling judicial recourse to resist such encroachments. Neoliberals introduce new property rights (like intellectual property) to cement into place their extensions of market valuations to situations where they were absent. They strengthen international sanctions such as the Trans-Pacific Partnership and investor-state dispute settlement schemes to circumvent and neutralize national social legislation they dislike. They bail out and subsidize private banking systems at the cost of many multiples of existing national income. And they define corporations as legal persons in order to facilitate the buying of elections. The blue-sky writings of neoliberals with regard to the state are, if anything, even more daunting. In the imaginary constitution proposed in Hayek’s Law, Legislation and Liberty, he suggests that politicians be rendered more powerful: in the imagined upper legislative house, Hayek stipulates, only men of substantial property over age forty-five would be eligible to vote or be elected; no political parties would be allowed; and each member would stand for a hefty fifteen-year term.8 This illustrates the larger neoliberal predisposition to be very leery of democracy, and thus to stymie public participation through the concentration of political power in fewer hands. James Buchanan proposed something very similar.9 This is just about as far from libertarianism as one could get, short of brute dictatorship. So here is the answer to my first question: people think the label “neoliberalism” is an awful neologism because the neoliberals have been so good at covering their tracks, obscuring what they stand for, and denying the level of coherence which they have achieved in their long march to legitimacy. Back when some of these proposals were just a gleam in Hayek’s eye, they did explicitly use the term “neoliberalism” to describe the project that, back then, did not yet exist—even Milton Friedman used it in print!10 But once their program looked like it would start to jell, and subsequently start reshaping both the state and the market more to their liking, they abruptly abjured any reference to that label, and sometime in the later 1950s, following the lead of Hayek, they began to call themselves “classical liberals.” This attempt at rebranding was an utter travesty because, as they moved from reconceptualization of one area of human experience to another, the resulting doctrines contradicted classical liberalism point by point, and term by term. It might be worthwhile for us who come after to insist upon the relevance of things that put the neo- in neoliberalism. In a nutshell, classical liberalism imagined a night watchman state that would set the boundaries for the natural growth of the market, like a shepherd tending his flock. Markets were born, not made. The principles of good governance and liberty would be dictated by natural rights of individual humans, or perhaps by the prudent accretion of tradition. People needed to be nurtured first to find themselves, in order to act as legitimate citizens in liberal society. Society would be protected from the disruptive character of the market by something like John Stuart Mill’s “harm principle”: colloquially, the freedom of my fist stops at the freedom of your face. The neoliberals were having none of that, and explicitly said so. (1) “Free” markets do not occur naturally. They must be actively constructed through political organizing. (2) “The market” is an information processor, and the most efficient one possible—more efficient than any government or any single human ever could be. Truth can only be validated by the market. (3) Market society is, and therefore should be, the natural and inexorable state of humankind. (4) The political goal of neoliberals is not to destroy the state, but to take control of it, and to redefine its structure and function, in order to create and maintain the market-friendly culture. (5) There is no contradiction between public/politics/citizen and private/market/entrepreneur-consumer—because the latter does and should eclipse the former. (6) The most important virtue—more important than justice, or anything else—is freedom, defined “negatively” as “freedom to choose,” and most importantly, defined as the freedom to acquiesce to the imperatives of the market. (7) Capital has a natural right to flow freely across national boundaries. (8) Inequality—of resources, income, wealth, and even political rights—is a good thing; it prompts productivity, because people envy the rich and emulate them; people who complain about inequality are either sore losers or old fogies, who need to get hip to the way things work nowadays. (9) Corporations can do no wrong—by definition. Competition will take care of all problems, including any tendency to monopoly. No wonder outsiders are dazed and confused. The neoliberal revolutionaries, contemptuous of tradition, conjured a fake tradition to mask their true intentions. They did this while explicitly abjuring the label of “conservative.” But there is one more reason that outsiders tend to think it a mistake to posit an effective intellectual formation called “neoliberalism.” Nowadays we doubt that ideas, and particularly political ideas, are the product of the concerted efforts of some thought collective stretching over generations, engaging in critique and reconstruction, fine-tuning and elaborating doctrine, while keeping focused upon problems of implementation and feasibility. Indeed, that doubt is evidence of neoliberal preconceptions having seeped into all of our thought processes. Yet that is an exact description of how neoliberalism developed, in the manner (as I insist on calling it) of a thought collective: sanctioned members are encouraged to innovate and embellish in small ways, but an excess of doctrinal heresy gets one expelled from participation. Central dogmas are not codified or dictated by any single prophet; no one delivers the Tablets down from the “Mont”; and you cannot adequately understand neoliberalism solely by reading Hayek or Milton Friedman, for that matter. While we can locate its origins in 1947, it has undergone much revision since then, and is still a hydra-headed Gorgon to this very day. My description of the neoliberal thought collective sometimes prompts worry that its doctrines might be too diverse to determine what ideas are and are not neoliberal. But here is where history can solve real epistemic problems. A little reading, along with some archival digging, reveals that the central node of initial neoliberal organization was the Mont Pèlerin Society, or MPS, first convened in Switzerland in 1947. As one might expect, it started out small—a mere thirty-nine participants—but it had participants from a diverse set of countries and not simply from the United States. It later grew so rapidly that its membership was capped at five hundred, where it remains today. For the first two decades, Hayek alone decided who could be invited to join the relatively closed discussion circle. After the 1960s, one would need to be approached by two members and asked to join, after undergoing some vetting procedure. No one could simply crash the party. 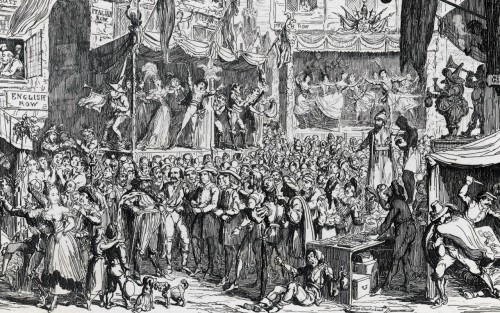 The purpose of the MPS was to create a special space where people of like-minded political ideals could gather together to debate the outlines of a future movement diverging from classical liberalism, without having to suffer the indignities of ridicule for their often blue-sky proposals. They also sought to evade their fifth-column reputation as a society closely aligned with powerful but dubious postwar interests—including some of the rich individuals invited to attend. Even the name of the society itself was chosen to be relatively anodyne, signaling little in the way of substantive content to outsiders.13 Many members would indeed hold academic posts in a range of disciplines, but this was not a precondition of MPS membership. The MPS would thus also be expanded to encompass various powerful capitalists, and not just intellectuals. The story of the neoliberal thought collective from 1947 to the present is the saga of the “building out” of both knowledge production and political action capacities, with the MPS more or less at the center, until the turn of the millennium. Neoliberals like Hayek may have scorned the universities, but they certainly understood the need to have a foothold in at least a few of them. The joint membership in MPS and those departments is another way we can trace the neoliberals. One then might regard specific academic departments where the neoliberals came to dominate before 1980 (University of Chicago Economics, the LSE, l’Institut universitaire des hautes études internationales at Geneva, St Andrews in Scotland, Freiburg, the Virginia School, George Mason University) as the next outer layer of neoliberal infrastructure, an emergent public face of the thought collective—although one rarely publicly acknowledging its links to the MPS. The expansion of the think tank infrastructure accelerated in the 1970s, and spread to most corners of the world. Another shell of infrastructure was fashioned as the special-purpose foundations for the education and promotion of neoliberal doctrines: in its early days, these included entities such as the Volker Fund, the Earhart Foundation, the Relm Foundation, the Lilly Endowment, the John M. Olin Foundation, the Bradley Foundation, and the Foundation for Economic Education. The Coors and Koch family foundations were critical players in the United States. The Intercollegiate Society of Individualists (ISI, later the Intercollegiate Studies Institute) served as a recruitment center for bright young things to be scouted and groomed for the movement in the United States; other countries had similar “educational” foundations. Core MPS members helped shape the construction of the think-tank infrastructure. In Thatcher’s Britain, the founding of the Institute of Economic Affairs (IEA) can be traced back to advice delivered to Antony Fisher, a businessman who had read and had been impressed by the Reader’s Digest version of Hayek’s Road to Serfdom. Fisher went to see Hayek and asked for his advice as to what he should do to further the cause. Hayek advised him not to go into politics, but instead to start a public policy think tank. This he was able to do—with the support of his profitable firm, Buxted Chickens, the first of the British battery hen companies. The wellsprings of neoliberal liberty in Britain, friends of the IEA might be forced to admit, had a little too much for comfort to do with the imprisonment of hens.14 But it had almost nothing to do with the spontaneous inclinations of wealthy people each acting on their own. While most Americans were oblivious to the spreading tentacles of the collective, politically active intellectuals in other countries were far quicker to realize that something new and significant was happening. It was therefore authors on the periphery, primarily in Latin America and Francophone countries, who took to using the terminology of “neoliberalism” in languages other than English, earlier and with greater frequency. The Anglophone context has been laggard relative to the rest of the world in attempting to discern the shape and structure of this political formation. There is no good history of the expansion of the intellectual and political capacity of the neoliberal thought collective written by the neoliberals themselves, although there are revealing accounts here and there of specific intellectuals and particular think tanks.15 The individualist bias also infects these memoirs of the NTC, however, since to pull back and expose the density of interconnections would smack of, well, a self-exposed conspiracy. But the political rise of the New Right also required suppressing the sharp differences of various political factions that would normally have had nothing to do with one another: the cultural conservatives, Russell Kirk’s paleoconservatives, the warlike neocons, the evangelical Right, the libertarians, the white supremacists, and a whole host of others.16 Since much of the “fusionism” that elided these differences was promoted at the key think tanks starting in the 1970s, the think tankers themselves had to repress being very precise over how certain strains of their political movement—and in particular the neoliberals—had championed doctrines that clashed with the other factions. Worse, the tonier neoliberals, used to hobnobbing with the rich, also tended to find their political fellow travelers a bit shabby and thus insalubrious companions. Hence the very tactical successes of the New Right itself militated against insiders writing detailed outlines of the neoliberal thought collective. One of the best short definitions of neoliberalism is offered by Will Davies—namely, that it is a political doctrine depending upon a strong state to pursue the disenchantment of politics by means of economics. If that sounds like an oxymoron, well, maybe that’s the nub of the project. As Margaret Thatcher is reported to have said, “Economics is the method, but the object is to change the soul.” Behind closed doors, even a popularizing neoliberal like Milton Friedman could be known to wax far more reflective. In public, Friedman would plead that he wanted the same ultimate objectives as his opponents, only differing in the most efficacious means to achieve them. In private, he would concede his intolerance for democracy, admit that true libertarianism was a pipe dream, confess his disdain for many of the key doctrines of Austrian economics, his contempt for Keynes, and assert that postwar foreign policy had taken a wrong turn with the Marshall Plan. There was nothing simple about Friedman’s precarious balancing act at the heart of the neoliberal project, and it never consisted of simple-minded libertarianism. The counterevidence comes in Friedman’s own private correspondence, such as a 1973 letter to Pat Buchanan: “We are talking at cross-purposes because of what I regard as the important necessity of keeping clearly separate the long-run ideal goal and the tactical steps that may be appropriate in moving towards it.”17 This distinction did not merely consist of the trimming of the sails to render their political project more palatable to the masses. It consisted of living a sequence of double truths—one for the masses, another for battle-hardened insiders—that grew organically out of the key political and epistemological positions innovated by the thought collective over the last sixty years. The hallmark of the neoliberal thought collective was that they more or less accepted the inherited image of an addled and befuddled populace, but thoroughly rejected any appeals to a scientific technocracy to instill some discipline in the masses. For them, the discombobulation of the masses was not a reason for despair, but rather the necessary compost out of which a spontaneous order might blossom.18 The primary way this would come to pass was through acknowledgement that “the market” was an information processor more powerful and more efficacious than any human being was or could ever be. The cretinous and nescient would propose; the market would dispose. In effect, the NTC believed if only the masses could learn to subordinate their ambitions and desires to market dictates, then their deficient understandings and flawed syllogisms could be regarded as convenient expedients smoothing the path to order, rather than as political obstacles to be overcome, as in the technocratic orientation of postwar social sciences. And, conveniently, the neoliberals would mobilize numerous institutional structures to nudge the people down that path. Hence, when it came to the simple matter of bamboozling the masses with ripping tales of government as the very embodiment of evil, as Friedman did, there were never any qualms expressed about their simultaneous drive to take over the Republican Party, and then the U.S. government, in order to impose a strong state and an even stronger set of state-instituted novel markets. The neoliberals often had to disguise their true allegiances from the masses: as Friedman once claimed, “the two groups that threaten the free market the most are businessmen and intellectuals.”19 Yet Friedman promoted the destruction of state education and the privatization of universities to put the intellectuals out of business; he never attacked the businessmen to any equivalent degree. Indeed, he openly preached the doctrine that corporations had no responsibilities to society other than to maximize their profits; if corporations were persons, they were of the purest strain of self-interested creatures, free from all surly bonds of obligation. The demonization of the state relative to the corporation was the epitome of the short-term tactic; the usurpation of power to the extent of reregulation (not deregulation) and extension of state power both at home and abroad were the long-term goals. No matter what Grover Norquist might rabbit on about, no neoliberal in government has ever actually shrunk the size of the state, much less drowned it in a bathtub. That was merely red meat for the groundlings. While in power, neoliberals may have subcontracted out parts of government, but that rarely makes a dent in bureaucracy. The coercive power of government inexorably grows. The neoliberals believed that the market always knew better than any human being, but that humans would never voluntarily capitulate to that truth. People would resist utter abjection to the demands of the market; they would never completely dissolve into undifferentiated “human capital”; they would flinch at the idea that the political franchise needed to be restricted rather than broadened; they would be revolted that the condition of being “free to choose” only meant forgetting any political rights and giving up all pretense of being able to take charge of their own course through life. Neoliberal ideals would always be a hard sell, and the neoliberals realized that. How much easier to avoid all that with simplistic stories that fogged the mind of the masses: government is always bad; everything you need to know is already in Adam Smith; you can be anything you want to be; there is no such thing as class or the dead hand of history; everything can be made better if you just express yourself on some social media platform; there is nothing wrong with you that a little shopping won’t fix. A simultaneously in order to exert sovereignty. What is noteworthy about the neoliberals is that they forged a unified doctrine and institutional structure attuned to do just that: they can reassure themselves that no human being is capable of second-guessing the “Truth of the Market,” and therefore spreading ignorance about their own true motives is not duplicity, but rather foaming the runway for the bearers of real civilization to land and take over. The net result of the reconciliation of theory and practice has been a political movement that dares not speak its own name. While most people, members of the public and intellectuals alike, doubt whether neoliberalism even exists, its effects continue to show up in a wide variety of unexpected places. Since a central tenet of the doctrine is that markets validate truth, many of the stronger examples tend to involve epistemic phenomena, from the destruction of public schools to the denial of climate change (or the emphasis on market-oriented responses to it). I will close with a project that draws rather less commentary, but is equally important. Consider the recent push toward “open science.” Many people have the impression that “open science” is primarily about lay access to gated scientific papers published by large for-profit firms; but in fact, that is a sideshow in the greater project to “open up” science. The neoliberal attitude is to wrest the very conduct of science away from its putatively untrustworthy experts, and subject it to a bracing market discipline. This is proposed as a panacea for whatever ails science: lack of democracy, public distrust of science, a suspected slowdown in scientific productivity, the corruption of modern scientific journals, the crisis of replicability in scientific journals, and much else. The whole thing kicked off in the later 2000s, with rumors of something called “Science 2.0.” The New York Times then had the good sense to rebrand this imaginary utopia as “open science” in January 2012.20 The British Royal Society intervened close on its heels in 2012, with a public relations document entitled Science as an Open Enterprise.21 Subsequently, this was rapidly followed by a popularizing book, succeeded by a plethora of government white papers and policy documents.22 All sorts of obscure institutes and think tanks (the Ronin Institute, Center for Open Science, openscienceasap, UK Open Data Institute, pcori, Laura and John Arnold Foundation) then sprouted across the landscape, dedicated to propounding the virtues of “open science” for all and sundry. In the current climate, the favorite panacea for the replication crisis, and indeed everything else that ails science, is the watchword of more “transparency” imposed through the regimentation of social-media style internet platforms. Sometimes its advocates hint that such platforms will displace journals gradually, while others imagine a world without any old-fashioned journals at all. For instance, Mike Eisen, one of the pioneers of e-BioMed and PLOS has explicitly proposed that we should do away with journals and convert to a completely open system of preprints plus post-publication peer review.25 Others have yet even larger ambitions. Some early entrepreneurs openly advocated a “Facebook for Science,” as developments in social media began to shape expectations well afield.26 The current Open Science movement is trending toward an entirely public reengineering of science, from the earliest inchoate preparatory stages of a research project to the final dissemination and evaluation of the results. They imagine every aspect of scientific projects happening online, from the earliest preliminary literature review, to open data sets produced either by the researchers themselves or else by some other scientist, to real-time commentary by others on the research protocols, to drafts of reports uploaded to preprint servers, to quasi-journal publications online, to extensive peer review continuing well after the final draft is posted online. The most important aspect of this brave new world is the reason why its champions would believe that such a sloppy, unintegrated, bottom-up system, beset by waves of ignorant kibitzers would produce anything but white noise. The paladins of Science 2.0 love to quote the injunction, “With enough eyeballs, all bugs are shallow,” but that presumes that all science is merely an instrumental task, similar to the building of software. Here one has to show the dominant narrative of a political ontology that renders this revolutionary project plausible. And that is where a comprehension of the philosophical aspect of neoliberalism is indispensable. The crises of modern science, curiously enough, were largely brought about by neoliberal initiatives in the first place.27 First off, it was the neoliberal think tanks that first stoked the fires of science distrust amongst the populace that have led to the current predicament. It was neoliberals who provided the justification for the strengthening of intellectual property; it was the neoliberals who drove a wedge between state funding of research and state provision of university findings for the public good; it was neoliberal administrators who began to fragment the university into “cash cows” and loss-leader disciplines; it was neoliberal corporate officers who sought to wrest clinical trials away from academic health centers and toward contract research organizations to better control the disclosure or nondisclosure of the data generated. In some universities, students now have to sign nondisclosure agreements if they want initiation into the mysteries of faculty startups. It is no longer a matter of what you know; rather, success these days is your ability to position yourself with regard to the gatekeepers of what is known. Knowledge is everywhere hedged round with walls, legal prohibitions, and high market barriers breached only by those blessed with the riches required to be enrolled into the elect circles of modern science. Further, belief in the market as ultimate arbiter of truth has served to loosen the fetters of more conscious vetting of knowledge through the promulgation of negative results and the need to reprise research protocols. No wonder replication turns out to be so daunting. One can understand the desire to cast off these fetters and let the market do the work for us. The irony of the situation is that although this petrification of the scientific enterprise could largely be attributed to previous neoliberal “reforms” in the first instance, the remedy proposed nowadays is to double down on neoliberal policies, under the rubric of “open science.” Rather than simply foster “participation,” modern science is chockablock with proprietary websites that aim to reengineer the research process from the ground up. Internet startups are thick on the web, befitting the early stages of a push to engross and capture new electronic real estate. Academia.edu, Mendeley, and ResearchGate seek to foster artificial research communities to attract far-flung kibitzers to discuss and criticize the early-stage search for topics in which to become engaged in research. CERN has built Zendor in order to standardize the sharing of early-state research products. Open Notebook and Open Collaborate (and Microsoft’s failed myExperiment.org) are platforms to organize the early stages of research out in the open, even to the extent of conducting “virtual experiments,” while sites like Kickstarter offer alternative modes of seeking out research support. There are purported “citizen science” sites that entice nonscientists to perform remote labor for aspects of data processing which can be Taylorized and automated—SETI@home and Foldit are oft-cited examples. There is a plethora of platforms for publication management and controlled revision by multiple “authors,” although most of them are proprietary and closely held, in contrast with something like the physics prepublication site arXiv.org. Indeed, in clinical trials, most contract research organizations are built around such proprietary platforms. A burgeoning array of startups fosters post-publication platforms to evaluate and otherwise rank papers in various fields using what are dubbed AltMetrics, sometimes combined with collated unpaid reviews, as on the site Faculty of 1000. Firms like Science Exchange, Transcriptic, and Emerald Cloud Lab attempt to automate actual (mainly biochemical or clinical) lab procedures online, to better outsource and fragment the research process, and nominally, to render replication relatively effortless. While different platforms aim to apply the concepts of social media to some restricted subset of the research process, it does not take much imagination to anticipate that once the market shakes itself out, and one platform eventually comes to dominate its competitors within key segments of the research process at work in certain sciences, Google or some similar corporate entity will come along with its deep pockets, and integrate each segment into one grand proprietary Science 2.0 platform. Who would not then want to own the obligatory online passage point for the bulk of modern scientific research? Readers of Michel Foucault will know that the key to the process of spreading neoliberalism into everyday life involves recasting the individual into an entrepreneur of the self. Technologies such as Facebook already foster neoliberal notions of what it means to be human among teenagers who have never read a page of Hayek or political theory in their lives.28 Novel open science platforms inject neoliberal images of the marketplace of ideas into the scientific community. All the programs are besotted with the notion of complete identification of the individual as the locus of knowledge production, to the extent of imposing a unique online identifier for each participant, which links records across the platform and modular projects. The communal character of scientific research is summarily banished. Scientists are introduced to a quasi-market that constantly monitors their “net worth” through a range of metrics, scores, and indicators: h-index, Impact Factors, peer contacts, network affiliations, and the like. Regular email notifications keep nagging you to internalize these validations, and learn how to game them to your advantage. No direct managerial presence is required, because one automatically learns to internalize these seemingly objective market-like valuations, and they replace tenacious belief in a set of ideas or a particular research program. All it takes is a little nudge from your friendly online robot. What exactly is neoliberal about the incipient electronic manifestation of Science 2.0? First, the proliferation of open research platforms is primarily subordinate to the project of breaking up the research process into relatively separable component segments, in pursuit of their rationalization, which means, first and foremost, cost cutting. This happens through the intermediary of deskilling some of the tasks performed (“citizen science”29) and automating others (AltMetrics, rendering big data accessible to web crawlers). Capturing freely donated labor which can later be turned into proprietary knowledge products is simply the analogue to capturing freely provided personal data. Thus Science 2.0 constitutes the removal of autonomy from the research scientist. Neoliberal science disparages scientists who remain in the rut of their own chosen disciplinary specialty or intellectual inspiration. What is required these days are flexible workers who can drop a research project at a moment’s notice, and turn on an interdisciplinary dime, in response to signals from “the market.” The short-term nature of science funding, as embodied in Kickstarter or recent innovations by the NIH, simply expresses this imperative. Second, the selling point of many of these platforms is not just that they provide direct services to the scientist involved. At every stage of research, they provide external third parties with the capacities for evaluation, validation, branding, and monitoring of research programs. Their nominal “openness” constitutes the ideal setup for near real-time surveillance of the research process—a Panopticon of Science, something which can be turned around and sold in just the same way that Facebook provides real-time surveillance of consumer behavior. Third, the paladins of Science 2.0 have moved far beyond quotidian concerns of appropriation of individual bits of intellectual property, like patents. What they have learned (similar to Microsoft, Google, and Uber) is that the company that controls the platform is the company that eventually comes to dominate the industry. Microsoft has learned to live with Open Source; Amazon leases out cloud computing; Google “gives away” Google Scholar. The future king of Science 2.0 will not be a mere patent troll, living as a parasite off companies who actually work the patents; it will not be perturbed by a few mandatory Open Data archives here and there. Instead, it will be the obligatory passage point for any commercial entity that wants to know where the research front of any particular science is right now, and who must be paid to influence and control that front. This race to be the King of Platforms that controls the future of Open Science is already happening. Far from being a relic of early stages of modern politics or economic liberalization, neoliberalism now appears in all the most “up-to-date” efforts of contemporary society. Neoliberalism is a conquering doctrine: it does not simply believe that “the market” will prevail, but instead that “the market” must be made to prevail. After having reshaped the global economy during the last forty years, neoliberalism has now begun to congeal into the very architecture of platforms like Facebook, ResearchGate, and Mendeley. Since Donald Trump came into office, many political scientists have taken to arguing over something they call “populism,” a label desperately in search of a referent if ever there was one. All the while, those same political scientists studiously ignore neoliberalism as an ignis fatuus, even though its history has been meticulously documented. All the while, the entire infrastructure of knowledge production itself is being comprehensively transformed in a neoliberal manner. I cannot think of a better instance of a weapon of mass distraction, which stymies comprehension of our current predicament. 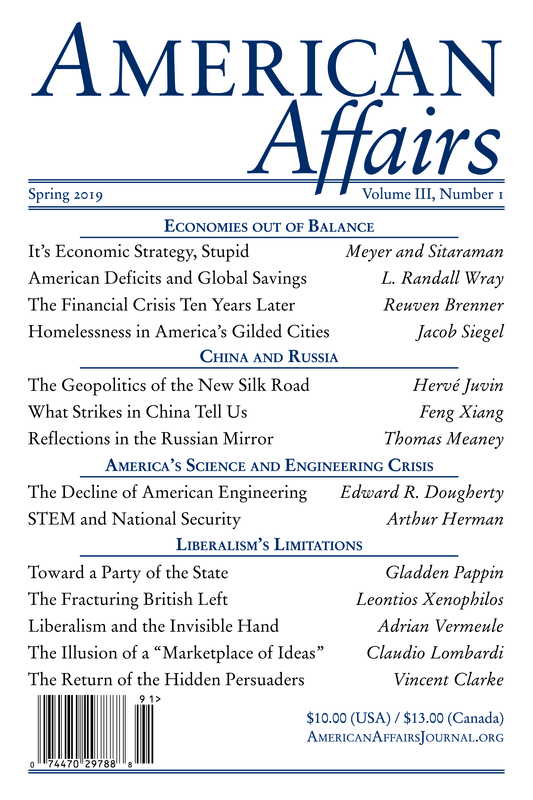 This article originally appeared in American Affairs Volume II, Number 1 (Spring 2018): 118–41. 1 Bob Jessop, Stephanie Mudge, Jonathan Derbyshire, and William Davies, “Roundtable: The Limits of Neo-Liberalism,” Renewal: A Journal of Social Democracy 22, no. 3/4 (2014): 81–100. 2 Friedrich A. Hayek, Individualism and Economic Order (Chicago: University of Chicago Press, 1948). 3 David Harvey, A Brief History of Neoliberalism (Oxford: Oxford University Press, 2005). 4 Not only is Free to Choose available on the ubiquitous YouTube, but there is also a slick dedicated website called FreetoChoose.tv, with unedited tape from the series and video lectures from other neoliberal figures. The story of Friedman’s TV series as a reaction to Galbraith’s The Age of Uncertainty is related in Angus Burgin, The Great Persuasion: Reinventing Free Markets Since the Depression (Cambridge: Harvard University Press, 2012). 5 See Robert Van Horn and Philip Mirowski, “The Rise of the Chicago School of Economics and the Birth of Neoliberalism,” in The Road from Mont Pèlerin: The Making of the Neoliberal Thought Collective, ed. Philip Mirowski and Dieter Plehwe (Cambridge: Harvard University Press, 2009); and for greater detail, see Philip Mirowski and D. Wade Hands, “A Paradox of Budgets: The Postwar Stabilization of American Neoclassical Demand Theory,” in From Interwar Pluralism to Postwar Neoclassicism, ed. Mary S. Morgan and Malcolm Rutherford (Durham, N.C.: Duke University Press, 1998), 260–92. 6 Antonio Gramsci, Prison Notebooks, ed. Joseph A. Buttigieg, 2 vols. (New York: Columbia University Press, 1996): 2:182–83. 7 See Ben Jackson, “At the Origins of Neo-Liberalism: The Free Economy and the Strong State, 1930–1947,” Historical Journal 53, no. 1 (March 2010): 129–51; and William Davies, The Limits of Neoliberalism: Authority, Sovereignty and the Logic of Competition (Los Angeles: SAGE, 2014). 8 Friedrich A. Hayek, Law, Legislation, and Liberty, vol. 3, The Political Order of a Free People (Chicago: University of Chicago Press, 1979). On pp. 132–33 of the same volume he proposes something akin to the EU, for the purpose of further supranational authority to frustrate national anti-market policies, but also (!) to tap the resources of poorer regions to the benefit of richer regions. 9 Nancy MacLean, Democracy in Chains: The Deep History of the Radical Right’s Stealth Plan for America (New York: Viking Press, 2017). 10 See Mirowski and Plehwe, The Road from Mont Pèlerin, 427. 11 Ashley Mears, “Who Runs the Girls?,” New York Times, September 21, 2014. 12 Borrowed from Ben Fink’s forthcoming book on neoliberalism. 13 R. M. Hartwell, A History of the Mont Pèlerin Society (Indianapolis: Liberty Fund, 1995). 14 Richard Cockett, Thinking the Unthinkable: Think-Tanks and the Economic Counter-Revolution, 1931–1983 (London: HarperCollins, 1994); and Jeremy Shearmur, The Political Thought of Karl Popper (London: Routledge, 1996). 15 Some useful texts cover think tanks or people who are not very prominent in intellectual history, including: Lee Edwards, Leading the Way: The Story of Ed Feulner and the Heritage Foundation (New York: Crown Forum, 2013); Daniel Schulman, ed., Sons of Wichita: How the Koch Brothers Became America’s Most Powerful and Private Dynasty (New York: Grand Central, 2014); J. Burns, Goddess of the Market: Ayn Rand and the American Right (Oxford: Oxford University Press, 2009); Kim Phillips-Fein, Invisible Hands: The Making of the Conservative Movement from the New Deal to Reagan (New York: Norton, 2009); Colleen Dyble, ed., Taming Leviathan: Waging the War of Ideas around the World (London: Institute of Economic Affairs, 2008); and John Blundell, Waging the War of Ideas (London: Institute of Economic Affairs, 2007). 16 The locus classicus of this interpretation is George Nash, The Conservative Intellectual Movement in America Since 1945, 30th anniversary ed. (Wilmington, Del. : ISI Books, 2006). 18 See Mirowski, “Hell Is Truth Seen Too Late,” Boundary 2 (forthcoming). 20 Thomas Lin, “Cracking Open the Scientific Process,” New York Times, January 16, 2012. 21 The Royal Society, Science as an Open Enterprise, 2012. 22 See Michael A. Nielsen, Reinventing Discovery: The New Era of Networked Science (Princeton: Princeton University Press, 2011); OECD, Making Open Science a Reality, OECD Science, Technology and Industry Policy Papers No. 25 (Paris: OECD Publishing, 2015); Riina Vuorikari and Yves Punie, eds., Analysis of Emerging Reputation and Funding Mechanisms in the Context of Open Science 2.0, JRC Science and Policy Report (Luxembourg: Publications Office of the European Union, 2015). 23 Brian Nosek, in Q&A session (Effective Altruism Global, 2016). 24 For some sources, see: Jonah Lehrer, “The Truth Wears Off,” New Yorker, December 13, 2010; Lin, “Cracking Open”; Nielsen, Reinventing; Vitek Tracz and Rebecca Lawrence, “Towards an Open Science Publishing Platform,” F1000Research 5 (2016): 130. 25 See Michael Eisen and Leslie B. Vosshall, Coupling Pre-Prints and Post-Publication Peer Review for Fast, Cheap, Fair, and Effective Science Publishing (unpublished manuscript, January 2016). 26 See Lin, “Cracking Open”; Alison Hearn, “A ‘War over Measure’? : Toward a Political Economy of Research Metrics,” Royal Society of Canada, May 2016. Long after I had begun this research project, I was shocked to discover one of these projects in my own university. 27 This argument is documented in detail in my book Science-Mart: Privatizing American Science (Cambridge: Harvard University Press, 2011). 28 I discuss this further in Never Let a Serious Crisis Go to Waste: How Neoliberalism Survived the Financial Meltdown, 2013. 29 See Mirowski, “Against Citizen Science,” in Aeon, 2017. Philip Mirowski is the Carl E. Koch Professor of Economics and Policy Studies at the University of Notre Dame.